Deepen your understanding & enhance your insights. Direct and cost-efficient access to a robust aggregation of 500+ proprietary search, life-stage, B2B, and purchase intent data segments for programmatic targeting. Custom keyword-based segment creation enabling search re-targeting across the web. 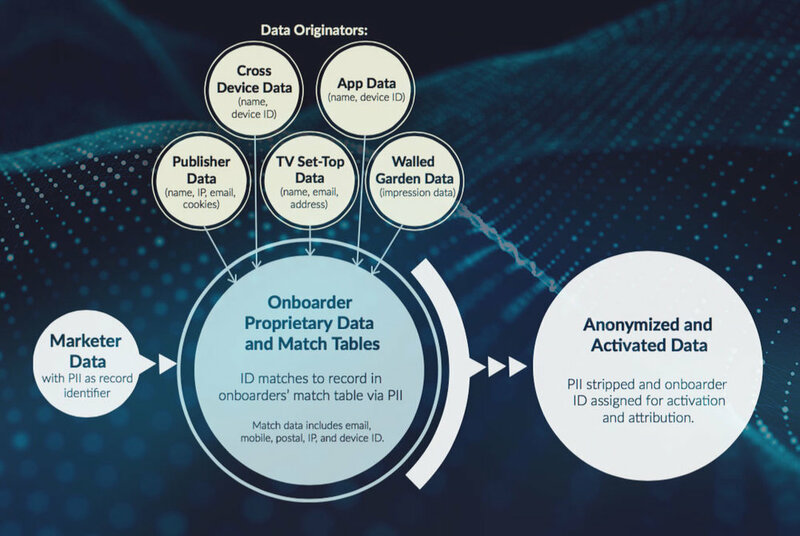 Secure and seamless digital activation of your 1st, 2nd, 3rd party offline data; unified by our proprietary device graph into anonymized user IDs. Find and engage your most valuable customers and prospects across any and all of their digital devices with custom curated messaging specific to them. Deepen your understanding of the people who visit your web properties and how different audiences engage with your brand online. Leverage these insights for marketing tactic refinement, website design optimization, and curated promotions. More than 90% of website visitation traffic is anonymous. iNvolved’s visitor recognition service enables marketers to de-anonymize those visitors regardless of device, and deliver a curated website experience or promotion specific to each visitor based on their profile. Enhance your customer and prospect insights by surfacing audience profile attributes, keyword interests, household attributes, media interests, and devices associated with each individual in your master database. Copyright © 2018 iNvolved Media, All Rights Reserved.